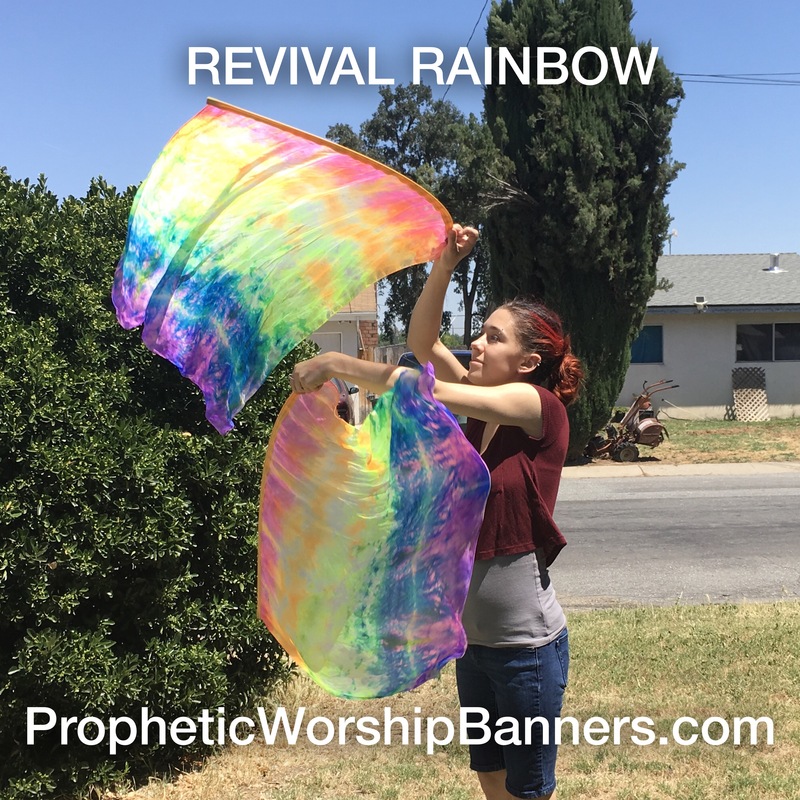 Please see bottom of page for usual delivery times. 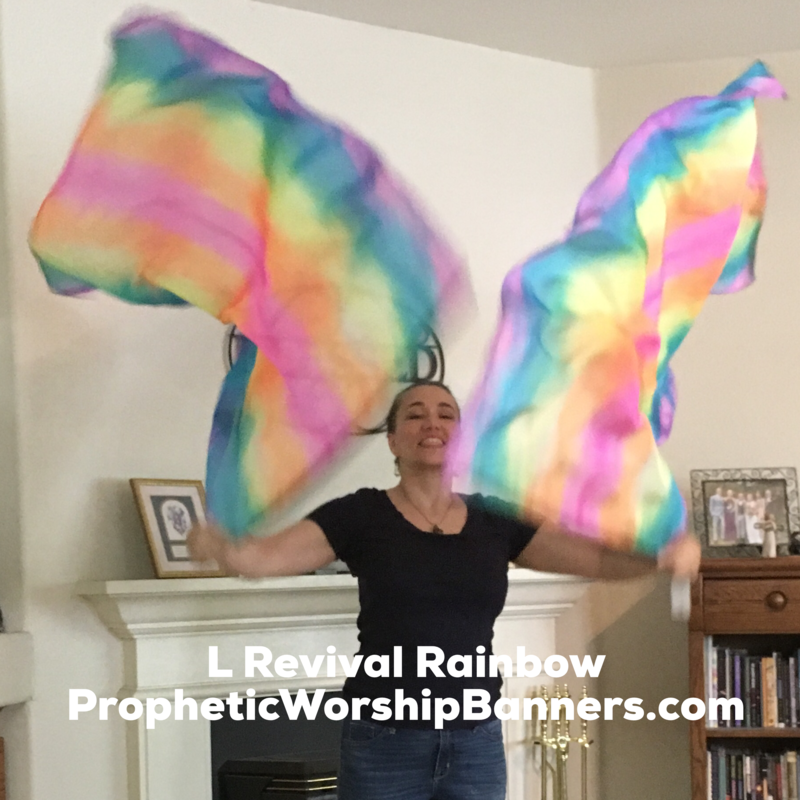 Revival Begins with YOU, releasing revival in prayer flags or scarves. 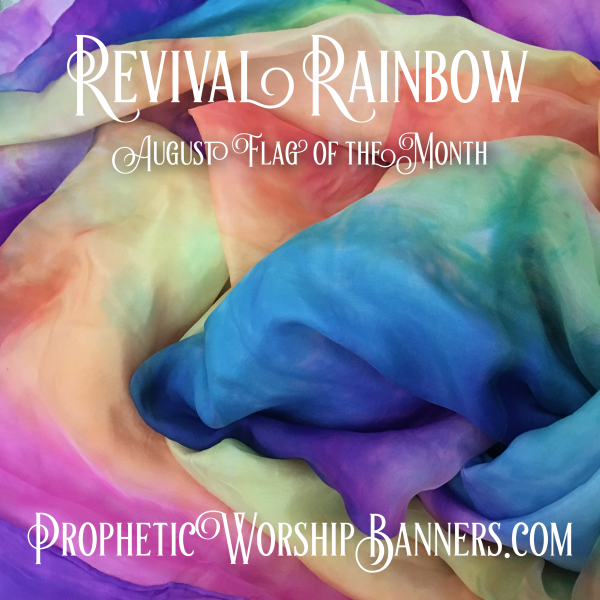 Through the Month of July -Veils, Prayer Scarves and Shawls in Revival Rainbow are also discounted. Why can we offer this special discount? 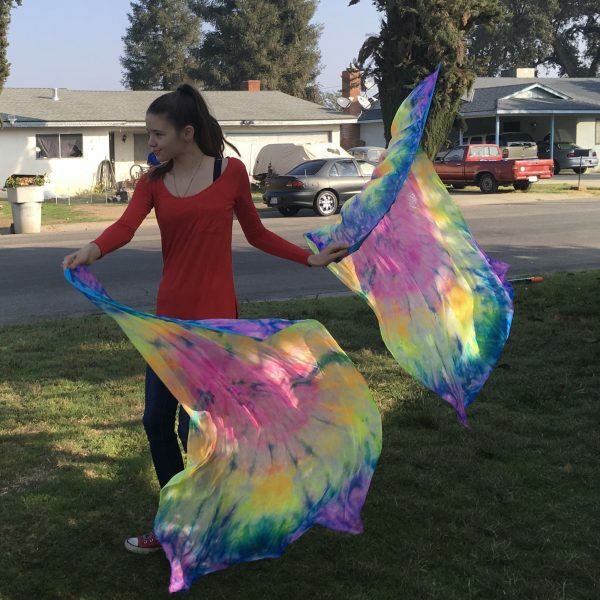 When many flags of the same design are created at one time, supplies can be bought in bulk, dyed together and shipped together, it saves time and resources, streamlining the process and prices. 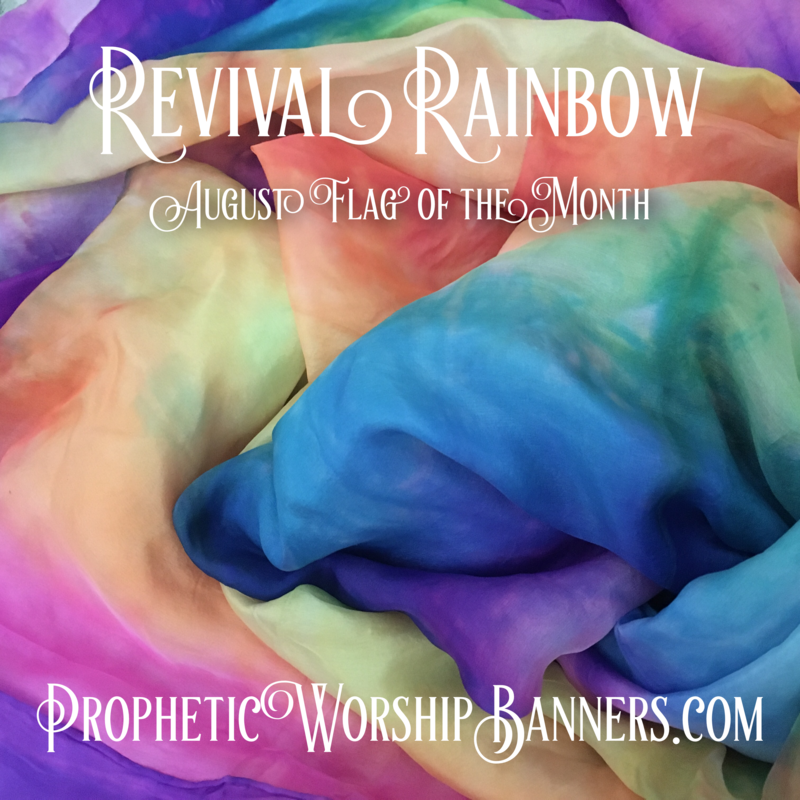 You benefit, so go ahead, add on a scarf to match your flags or hankie to use as a bookmark in your bible. 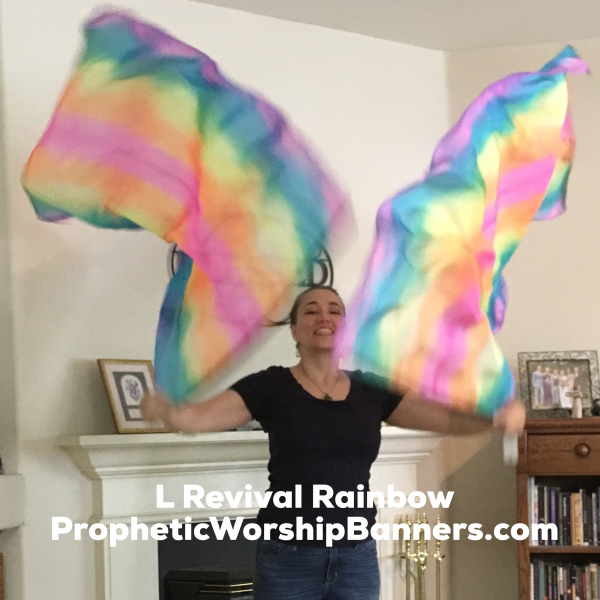 It’s a great reminder to transition devotional time into worship time! Expect shipment shortly after this promotion ends. (March feature ends 4/1) We will in stock items immediately and items to be made on or shortly after. Last month’s feature ships shortly after the current month’s began. Swing flags are not available at this promotional price.